Pillow Happy! – It Works For Bobbi! Published on October 18, 2010 August 9, 2016 by Bobbi-Jo G.
Our teacher was the fabulous Nicole from A Dash of Sass. She had everything for us that we needed (i.e. a pillow, and about a yard of felt, glue, and pins). I just loved the many color combos we could chose from. I went with a rather mellow choice that matches my living room, but hw fun to do a pink, turquoise, or fushia for a little girl’s room? 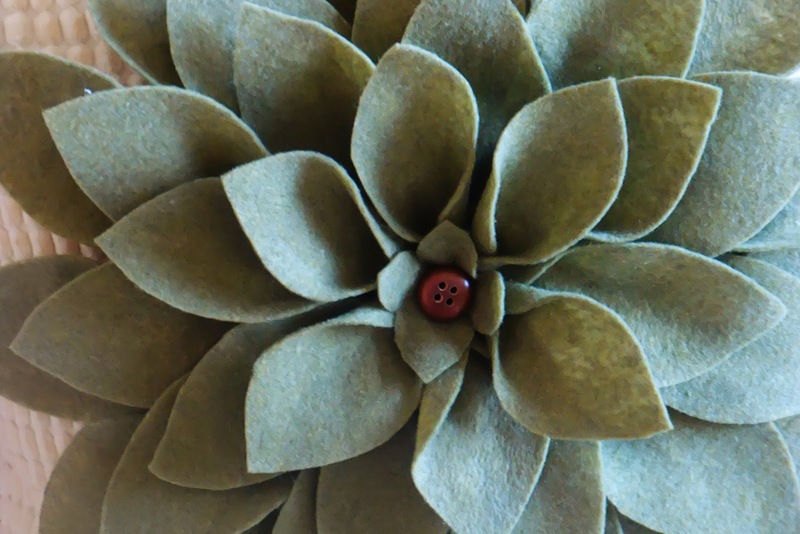 You can read a how-to on this amazing blog called“H is for Handmade”. TONNES of inspiration to be had there. I added a cute wooden button to the center to finish it off, and I just love it!! 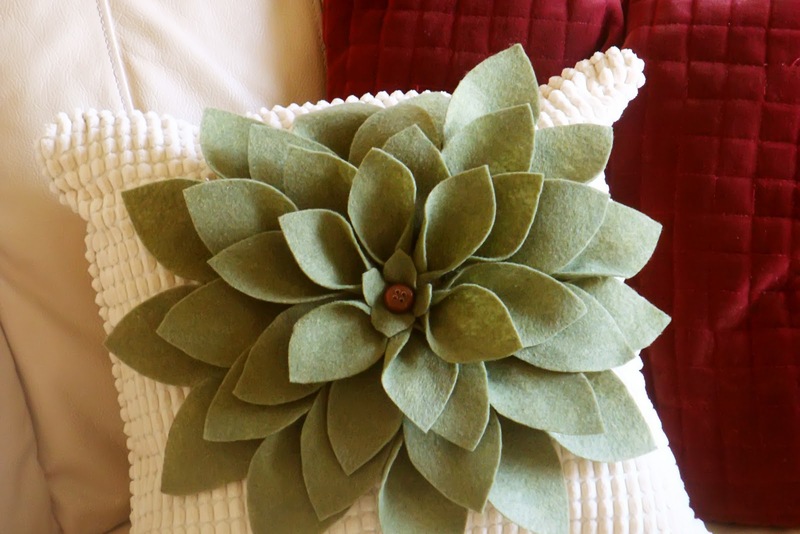 If you want to check out another twist on a felt flower pillow, check out this post on HowDoesShe! You’ll be drowning in felt pillows before you know it! Next Count Down to Candy! Awesome! How fun…my little pup would chew that too pieces though!!! Wow! How great did that turn out!!!?? 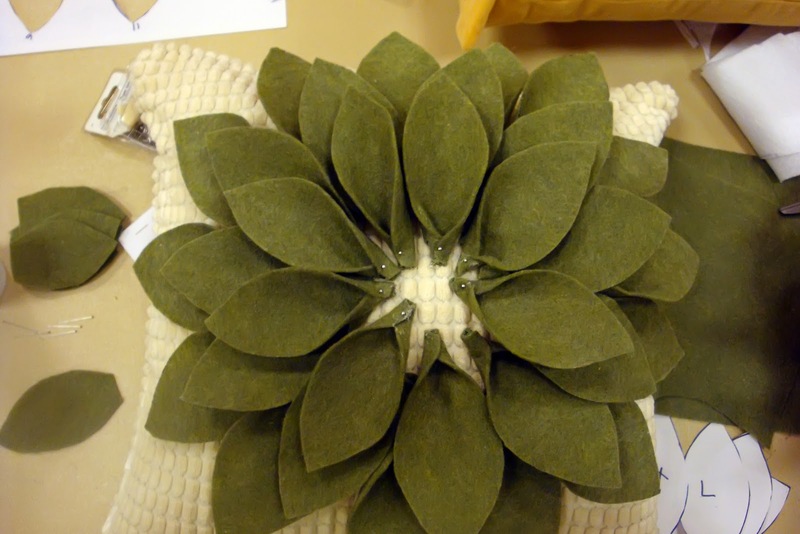 It is a funny thing – as I was making my pillow and writing the tutorial, I thought to myself “This would make a great super Saturday craft!” Thank you so much for the great mention, and for your support! I am thrilled that you liked the idea and were able to teach it to others! Those are awesome! I'm going to have to keep them in mind for next year. that is beautiful and I know it looks fabulous in your house. 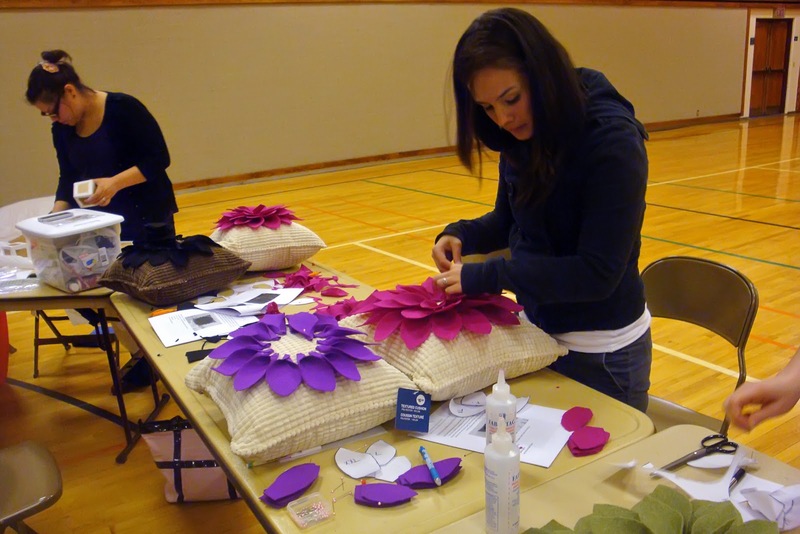 I'm thinking i want to move to your town- they really know how to do crafts!!! This is stunning. I love the color and the thickness of the felt. What a fun idea for a super saturday too. What a fun workshop!! Love the pillow, thanks for the idea! I had so much fun doing this project! I used hot glue instead of fabric glue and it worked like a charm! It looks so great on my new chair! Thanks for the inspiration! 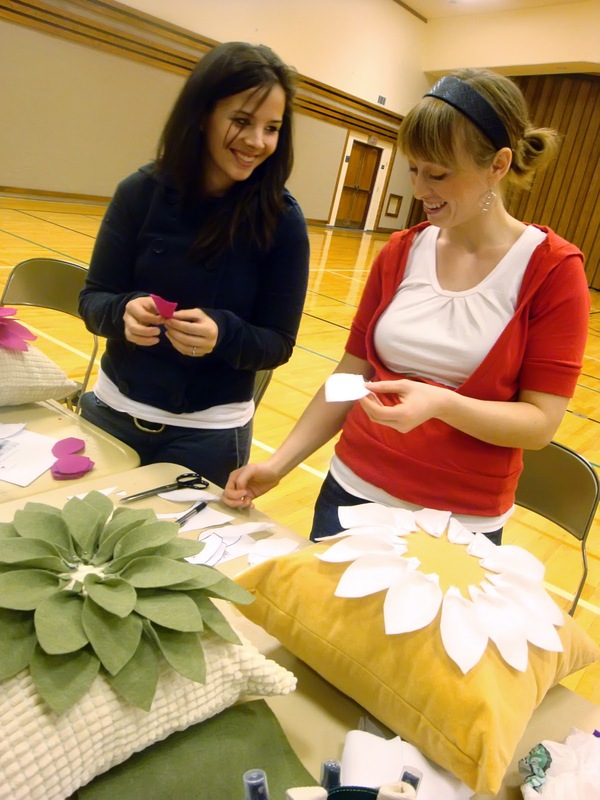 We featured you on our blog today at http://www.nevernola.com for a DIY project! Perfect. 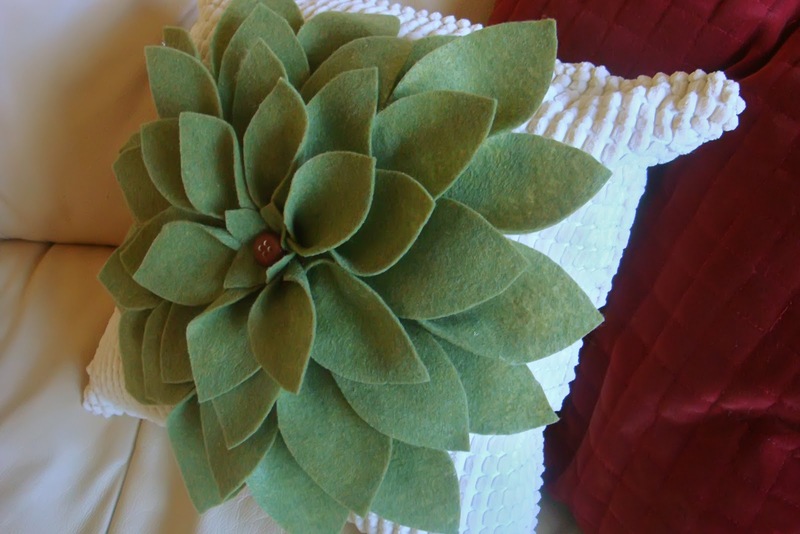 Would be so cute done in red for Christmas… it would look just like a pointsettia. So cute(: great idea for a young womens personal progress night too.!! Turned out awesome! Been looking for easy crafts to do since I have a 5 month old and not much time. Need to try this very soon. Thanks! Btw, loved the colors you chose. Gostaria que fosse traduzido para o português!